Are you looking for a last minute gift for your child's Easter basket? 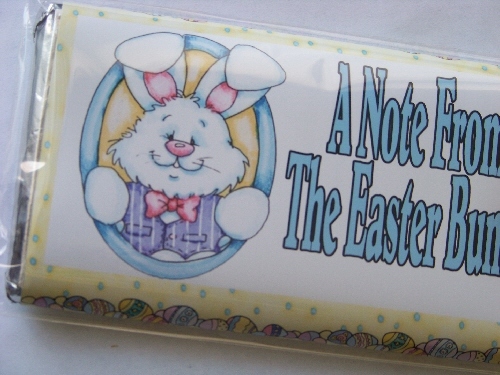 How about a personalized letter from the Easter bunny with your child being the star? 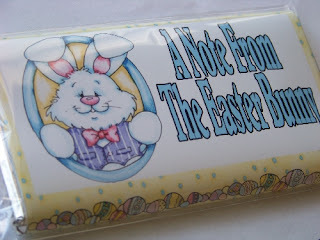 Our Personalized Easter Bunny letters are now available right in your inbox! We have 2 letter versions available ... so each of your kids can receive their own sweet letter from the Easter bunny. Simply purchase and leave us their name, home town, siblings' names, friends' names, teacher's name, and school name. Within a few hours you will receive a JPG file in your email box with personalized letter! 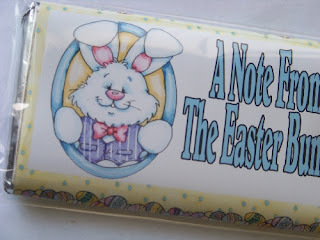 Then print, cut, and wrap around a 7 ounce Hershey candy bar! Your child will LOVE this personalized letter just for them. Plus, check out our FACEBOOK page for a code to make your gift even sweeter!